In his usual approach of projecting the Peoples Democratic Party, Dr Akin Ogunbiyi on Friday took campaign of His Excellency Alhaji Atiku Abubakar and other candidates of the party to streets in Iwo and Olaoluwa local government areas of Osun state. Ogunbiyi interacted with chiefs, professionals, traders, women and youths in the communities and urged them to vote PDP candidates come 2019. 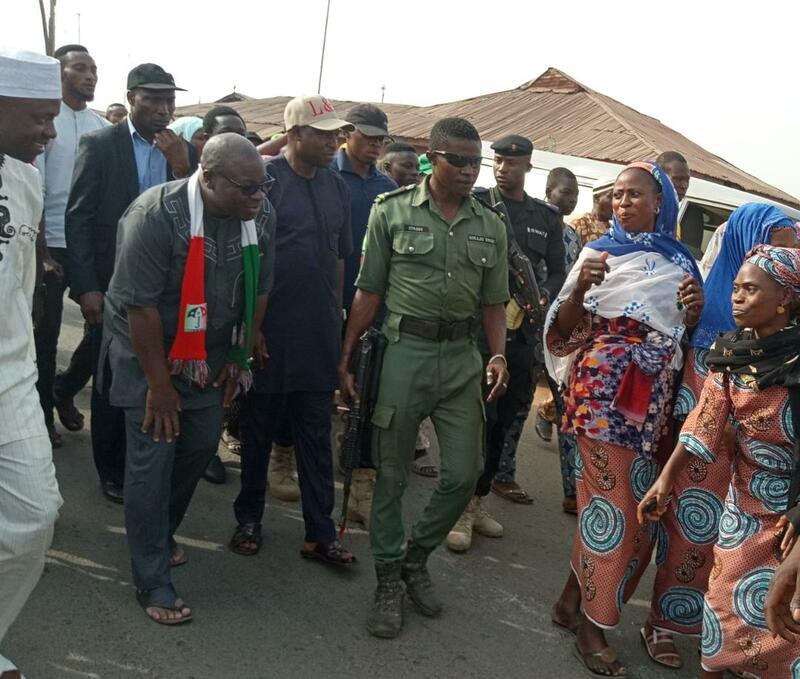 The PDP chief, at the continued reconciliatory and mass mobilisation tour of Iwo Federal constituency, disclosed that no other political party cares about the people more than PDP. Ogunbiyi equally visited the Palace of Oba Abioye Nureni Oyewale, Olubode of Bode land, in Olaoluwa local government to rally support for the party and her candidates. He later welcomed hundreds of members of the Social Democratic Party, SDP led by Hon. Omidele Kazeem (Omikaz) into the PDP at Bode Osi tall town. Addressing PDP faithful and several other decampees at Abilere area of Iwo, Ogunbiyi reiterated, "a vote for PDP is a vote for a better society." He implored the people to disregard attempts by the ruling government to buy their votes. The PDP chief said that the decampees would officially be handed over to Hon. Soji Adagunodo, Osun PDP chairman during the constituency rally ahead. "All of us are stakeholders, let us all work for the success of PDP come 2019. Let us ensure that no issue of the past interferes in our judgement and decision at the coming polls," he added.